Why would I need self storage in Edgewater Park, NJ? There are a variety of reasons why you might need self-storage in Edgewater Park, NJ. How much is a storage unit in Edgewater Park, NJ? The cheapest storage unit in Edgewater Park, NJ is $36.00 per month. What size storage units do you have available in Edgewater Park, NJ? In Edgewater Park, NJ we have sizes that range from 5'x5' to 10'x20' to suit your storage needs. How much is it for a 5'x5' storage unit in Edgewater Park, NJ? The cheapest 5'x5' storage unit in Edgewater Park, NJ is $36.00 per month. A small township on the Delaware River, Edgewater Park is located about 20 miles east of Philadelphia and about 20 miles west of Trenton. The township and surrounding Burlington County have attracted new residents for over three centuries, and the county's numerous historical attractions give a peek into the area's early years. Edgewater Park's location along the Delaware River makes it a convenient and welcoming home as well as a smart place to do business. With easy connections to interstates, highways, rail networks and airports, Edgewater Park is a popular place to live and work in New Jersey. The township offers many local amenities, ranging from everyday conveniences like grocery stores and coffee shops to recreational facilities and parks. A variety of green spaces and playgrounds, as well as sports fields, walking trails and fishing ponds, offer a quiet retreat from the busy community. Local events include community yard sales, the annual Christmas tree lighting and other holiday celebrations. Edgewater Park Township and Burlington County are home to numerous thriving businesses that help fuel a healthy economy and active job market. Defense contractor Lockheed Martin and financial company TD Bank are the area's top employers, each with workforces in the thousands. Health care provider Virtua Memorial Hospital of Burlington County and retailers Burlington Coat Factory and CVS Corp. also provide thousands of jobs in Burlington County. Edgewater Park and the greater Trenton metropolitan area have several diverse industries. The largest include education and health services, trade and transportation, government, and professional and business services. If you need a job in Edgewater Park, these industries are a great place to start your search. Local elementary and middle school students attend one of the Edgewater Park Township School District's campuses, while high school students attend Burlington City High School, which is part of the City of Burlington Public Schools district. All secondary students have the option of enrolling at the Burlington County Institute of Technology, a public vocational and technical school. Utilities: The electricity provider in Edgewater Park is Public Service Electric & Gas. The township oversees its own water and sewer services. Garbage and Recycling: Edgewater Park's public works department facilitates curbside collection services for trash and recyclables. 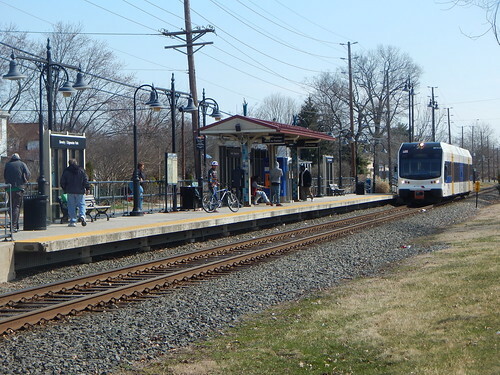 Transportation: BurLINK and New Jersey Transit service both provide public transportation in Edgewater Park. If you're looking for Edgewater Park's most affordable housing, you can typically find dozens of options throughout the city center. Larger or more upscale homes are located along the city's waterfront and near major green spaces like Beverly National Cemetery. Overall, the Edgewater Park housing market is fairly affordable, and fairly comparable to national averages. Our lowest priced units in Edgewater Park, NJ average $58.00 per month. 59 people have reserved units in Edgewater Park, NJ in the past 30 days. There are 2 locations within Edgewater Park, NJ's city limits.